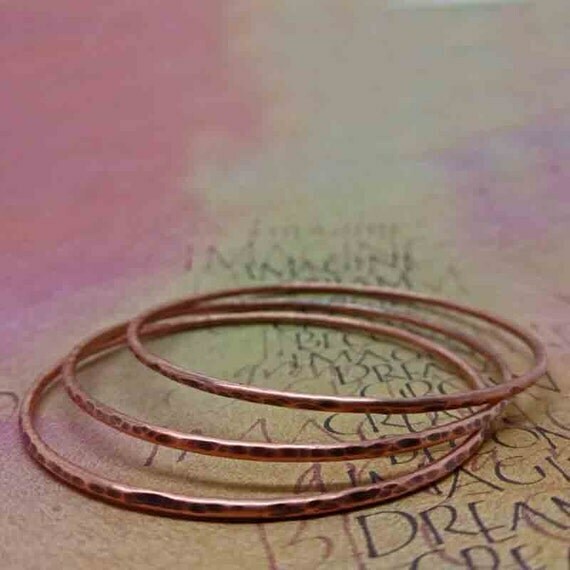 While I started using copper wire because it was inexpensive and readily available, I have grown to appreciate it's earthy tone and rustic appearance. I recently began soldering and started with copper because I knew that there was going to be a large learning curve. The more I work with it the more I love using it and it is no longer a "learning and experimenting" wire, but a staple for me. 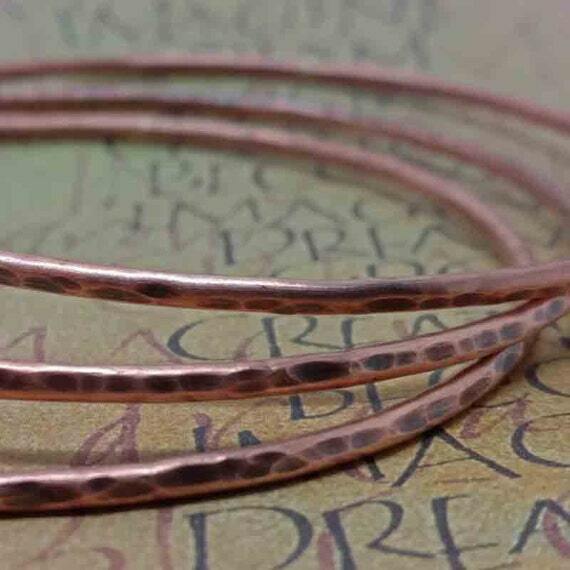 Copper is a naturally soft metal and therefore easy to texture. A little hammering and some oxidizing with liver of sulfur and you have a rich, rustic look. 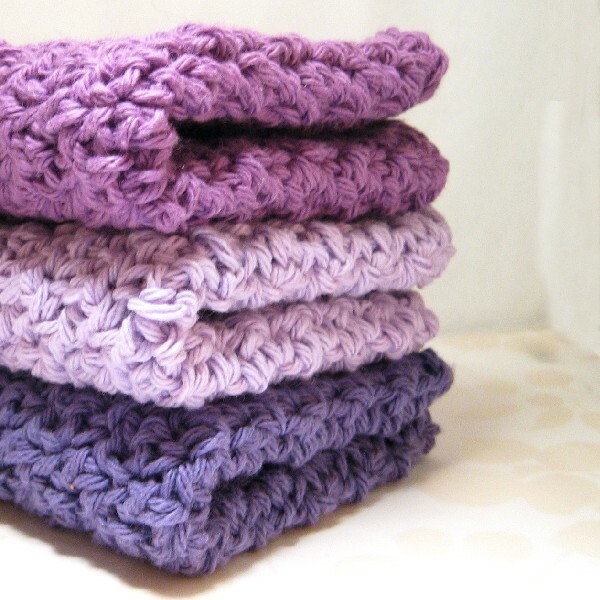 Most of the winter I have been crocheting for my shop, Morning Sky Creations, using deep, dark and neutral colors. Enough! We've been having a long winter here in the Northeastern US and I'm tired of it. Last week I was in the store yarn shopping and these colors caught my eye. I couldn't decide which I liked best so I ended up with all three. This was the end result and I love it. So happy to see some bright, fresh colors in my shop. Since I have been selling my jewelry I have been using the same packaging. 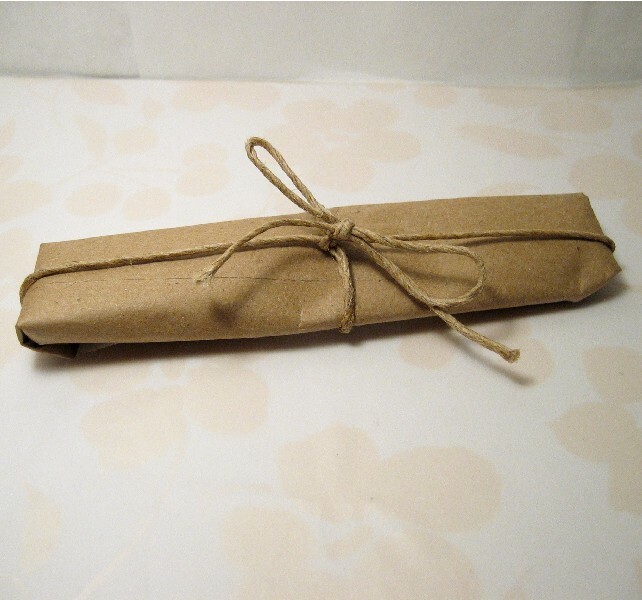 I wrap the item in white tissue paper and then place it in an organza drawstring bag. 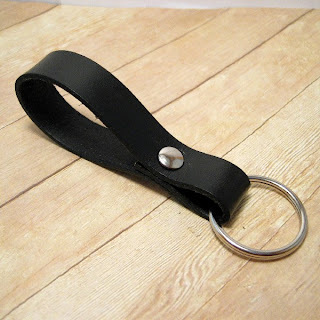 This has been working fine until I introduced a line of leather key rings into my shop. Most of my jewelry is for women. There are 1 or 2 items that could be for men. When one of those pieces sells I wrap it in tissue and tie it with a neutral color cord if I am in doubt if the purchase is for a male or female. I needed to come up with easy, economical packaging for my key chains. What could I use that looked masculine enough if the purchase was for a man, but not too masculine in case the purchase was for a woman? Here is what I came up with and for now it seems to be working out. I do have cord in different colors, so if I'm sure that the purchase is for a woman I may tie up the package in pink or purple cord instead of the natural. 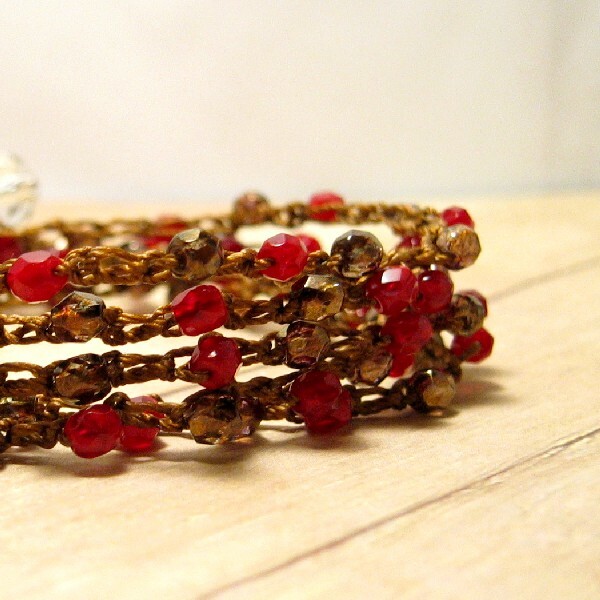 I've added something new to my jewelry shop. While I love making my jewelry, I was looking for something that was a little less time consuming to make that I could offer at a lower price point. I had some leather left over from some leather bracelets I had been making so I made a few basic key chains like the one shown below. It is made from a nice sturdy vegetable dyed leather with a nickel plated clasp. Soon after I came across a silver plated swivel clasp and split ring when I was out shopping for supplies. That resulted in this key chain with clip. It is perfect for clipping to a belt loop or purse. 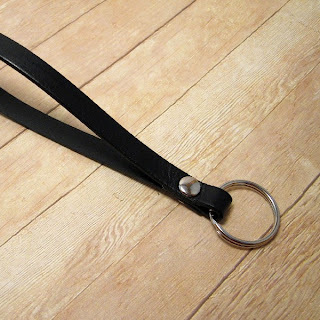 Next to be added was a key ring attached to a leather wristlet strap. 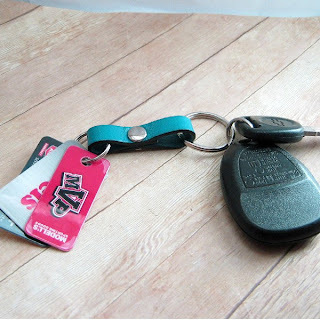 This is great when you are running errands and don't want to lose your keys in the bottom of your purse. Just slip this over your hand and your keys are easily accessible. The latest key chain added was the double ring. I work in retail and I notice a lot of people searching for reward card key tags among their keys. 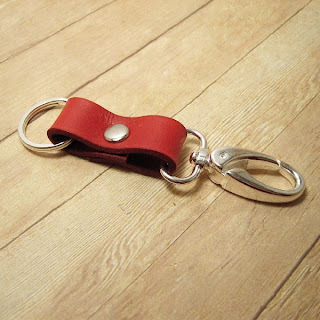 With my double key ring you can keep all your tags on one ring and your keys on the other. Or, you can keep house or office keys on on side and car keys on the other. Clicking on any of the photos will take you to that item in my shop. My newest project doesn't have anything to do with jewelry making or crochet. Our neighborhood was starting to be overrun with feral cats. They were everywhere and multiplying rapidly. A neighbor volunteers for a local no-kill shelter so she and another neighbor started trapping them, having them neutered and then releasing them into the wooded area behind our neighborhood. 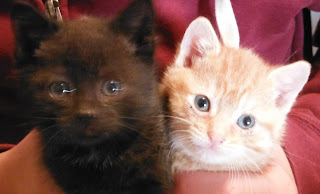 In the meantime, a litter of kittens had been born.After they were weaned, the mother was trapped, spayed and released, The kittens were then caught. There were 3 little cuties. 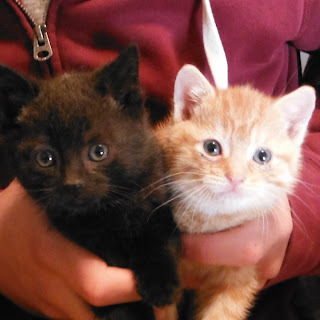 Someone took one right away, but the other 2 need a place to stay until they are old enough to be neutered and put up for adoption. That is where I came in. My animal shelter friend already had as many fosters as she could handle, plus her own dogs and cats, so she asked me if I wouldn't mind fostering them for a few weeks. How could I resist? Of course, my 10 year old tabby, Emma, absolutely hates them. I guess she has forgotten that she was rescued as a feral kitten in the woods by the same shelter and now has a cozy, warm, loving home with us. My youngest son has been helping me work to socialize them so that they have a better chance at being adopted quickly. The little orange one should have no problem. He is friendly to a fault. All he wants is attention. The black one, on the other hand, has finally stopped hissing at me whenever I get too close. I think that it is all an act since when you pick him up he doesn't really fight to get away and will settle down after a bit. So, that is what I have been working on lately. How about you? I hope everyone is having a great New Year so far. It has been quite a while since I posted so I thought that the New Year would be a good time to get back to it. Hopefully it will be a trend that will continue on a semi-regular basis. I have been trying to build up both my Etsy shops the past few months.My crochet shop, Morning Sky Creations, is very depleted right now. 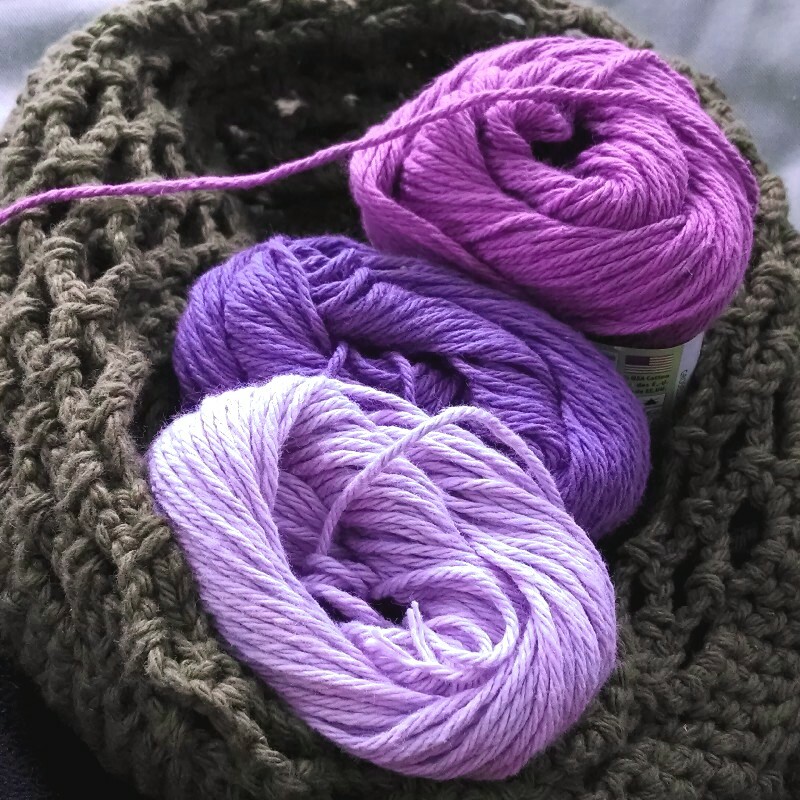 I'm trying to do a little bit of crocheting every day to gradually get if filled back up. My jewelry shop, Morning Sky Jewelry, is doing a little better. 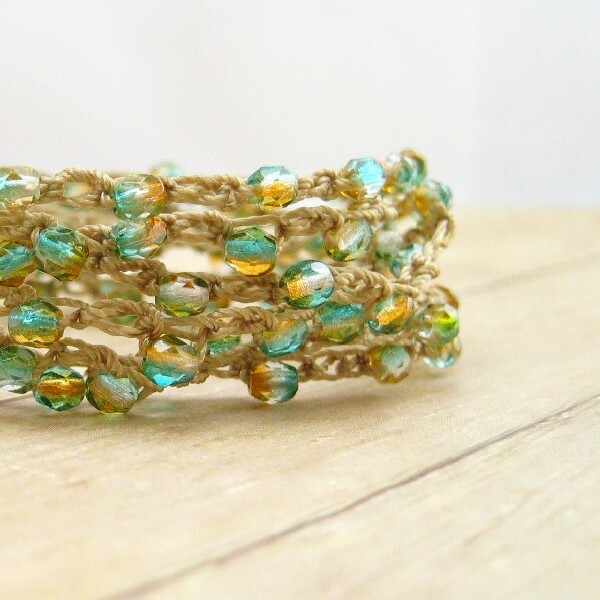 Over the summer I made myself a crochet beaded wrap bracelet. I not only love wearing it, but I love making them. Once I started I couldn't start. The first ones I made using mainly seed beads and some stone chips. Then I made a few using Czech fire polished stones and those are the ones that I really love. This is one of my favorites. I had ordered some Oxblood Red crystals for an idea I had. The supplier ended up sending me a freebie of some Czech fire polished copper luster beads. I ended up abandoning my original idea and combining the two. I love this bracelet. It was very hard for me to list it instead of keeping it for myself. I will have to look into ordering more beads to make another. 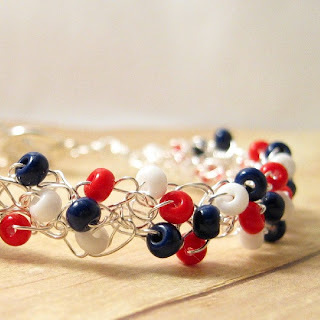 One of the best things about these items is their versatility They can be worn not only as bracelets, but also as wrap around anklets, or single or double strand necklaces. 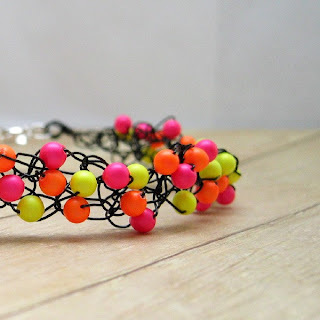 I had tried crocheting with wire some time ago, but I didn't like the results. When my local craft store started carrying silver plated Artistic Wire I thought I would give it another try. This time I was much happier with the results. 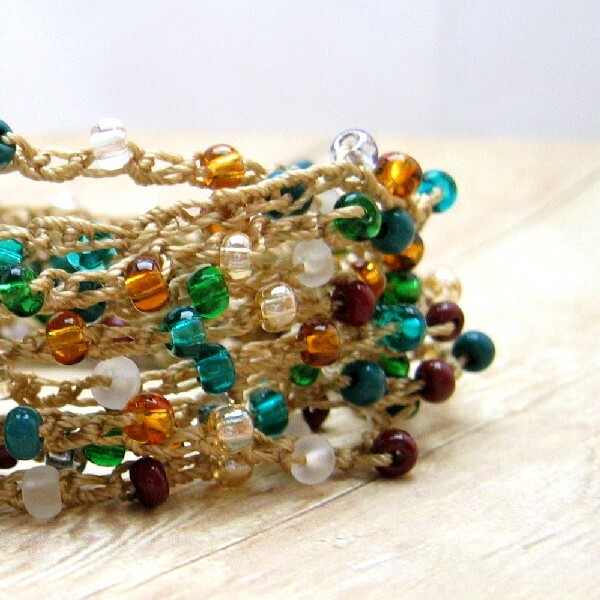 These bracelets are made by first string on the beads then crocheting chains. 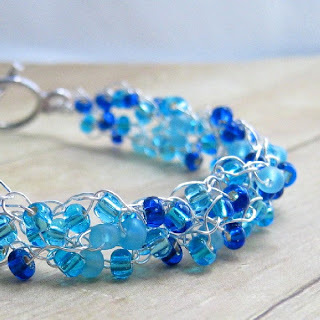 When I have the number of chains that I need I braid them together to form a fun, contemporary bracelet. The bracelets in the first 2 photos are made with non tarnish silver plated wire and the bottom one is made from black coated wire. 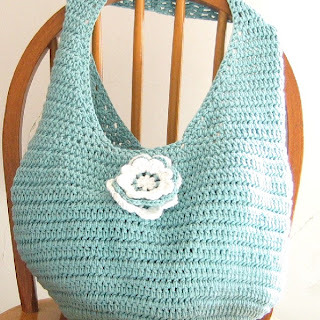 I have a new addition to my crochet shop, Morning Sky Creations. 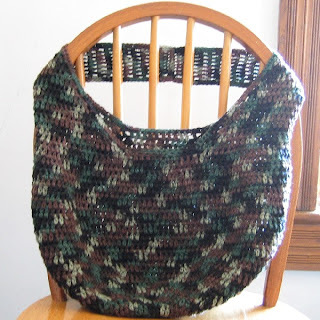 I have been making reusable crocheted market bags. These bags are not only great for shopping, but also for the beach as well as an all around tote bag. I'm really enjoying making these bags and I'm amazed myself at how much I can fit in one. Because they are crocheted they have a lot of give to them. Please leave a comment if you have any ideas for colors and/or color combinations that you would like to see. I will be donating 10% of sales (excluding shipping) from my shop to The American Cancer Society through the end of October. I will have my donation targeted to Breast Cancer in honor of all the women and men in our lives affected by this devastating disease. If you would like to donate directly without making a purchase you can click here. I came across these great beads in 2 different sizes and I knew that I had to make a chunky bead crochet bangle from the. 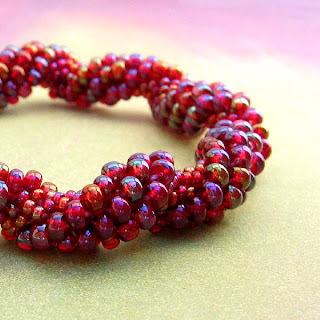 In lower light these beads appear purple with a rainbow finish, but when held up to the light they appear a translucent red, almost like pomegranate seeds. 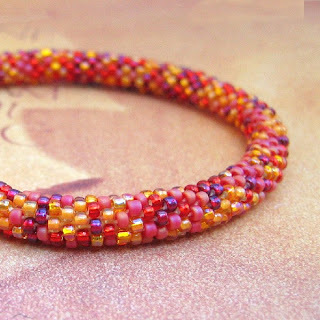 I found the beads for this bangle when I was online shopping for supplies for a custom bracelet. I loved all the colors and how they blended together so seamlessly. The bead mix is called Summer Sunset and I think that the name describes these colors perfectly.